HP 460Watt 110-240V Z9 Mini Power Supply 110-240V Platinum 94% Certified. 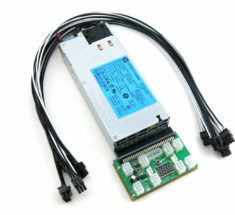 Includes (1) HP 460W PSU, (1) X6B Breakout Board, (4) 6pin to 6pin 16AWG PCIE cables. HP 1200 / 900 Watt 110-240V Antminer Z9 Mini Power Supply 110-240V 80+ Platinum 94% Efficiency certified. 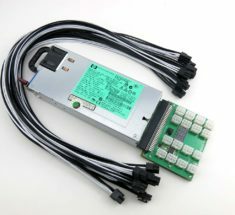 Includes (1) HP 120W PSU, (1) X7B Breakout Board, (8) 6pin to 6pin 16AWG PCIE cables. 1200 Watt power supply kit to power 1 or 2 Bitmain Antminer B3. 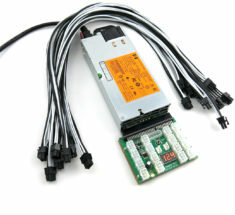 Includes X-adapter version 11 and (7 or 14) 6 Pin to 6 Pin PCIE cables. 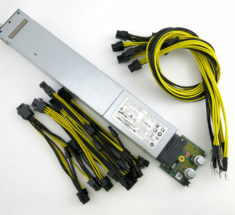 PSU: 1200 Watt 110-240V 80+ Platinum certified at 94% efficiency. 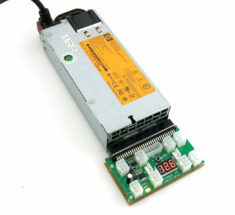 750 Watt power supply kit to power 1 or 2 Bitmain Antminer B3. 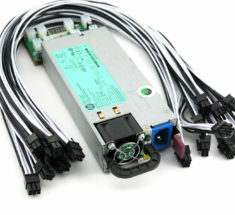 Includes X-adapter version 11 and (7 or 14) 6 Pin to 6 Pin PCIE cables. PSU: 750 Watt 110-240V 80+ Gold certified at 92% efficiency.